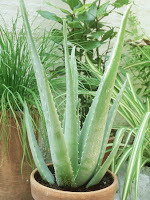 Description: Aloe Vera (Aloe Barbadensis Miller) is considered by many a miraculous herb, helping the prevention and curing of many diseases. Traditionally, this gel is most effective in treating burns and wounds. 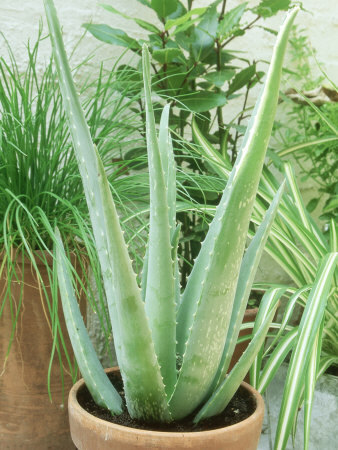 In many countries both plants and products derived from Aloe Vera are imported. To be effective one must have 2-3 year-old plants (leaf size matters a lot). So baby plants can be sold for about 1-2 euro, the 1-2 year-old plant for 7-10 euro and the largest 2-3-4 year-old up to 15 euro For a high production rate, gains can be unlimited, baby plants producing all year round. Separation of the plant and planting their offspring is done only in spring. The soil should be a peat and sand mixture, similar to cacti land use. Watering plants is rare (once every 2-3 weeks), when the soil is very dry. For a large production, which already does not fit into the space initially, one can make a solarium in open spaces where they can be stored in winter. Cons: - marketing problems may occur, so it is better to prospect interested customers in advance. There may be individuals, companies or large flower production for medicines. Conclusions: This activity is a very profitable investment, since it does not require large financial resources and maintenance, plus the value of a plant grows by approx. 50% each year. If one builds an effective marketing strategy and multiplication, such activity is a business that should not be missed. 0 Response to "Aloe Vera"